← My dog, the snowman mutilator! 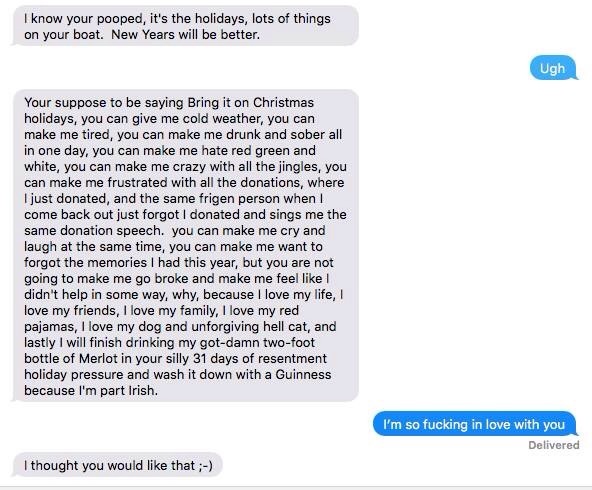 Got a little down this holiday season, but Hubby would have none of that and sent me the following text. So like a good wife I did exactly what my Hubby told me to do… at work… Yes that’s a tiara, when I go big, I go all the way! 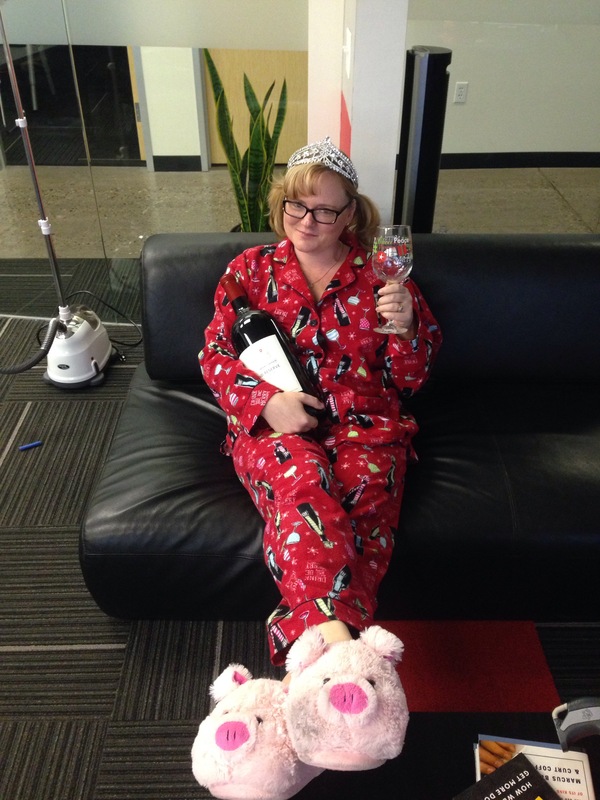 This entry was posted in Humor and tagged funny, happy, holidays, life, love, marriage, pjs, Wine. Bookmark the permalink.